Two movie reels with movie tape down the middle illustration apron is made of a 65/35 poly/cotton blend. 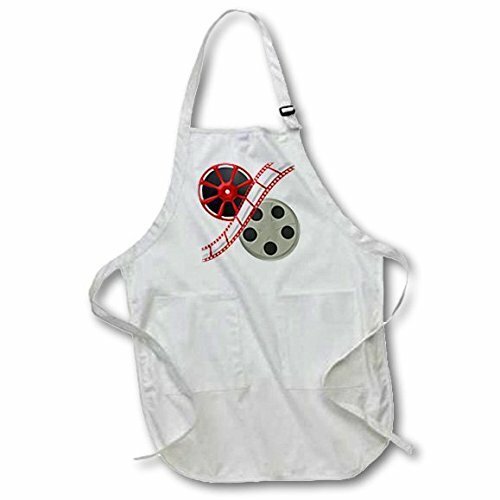 Whether it is put to use in a restaurant or at home, this apron will always help to keep you clean. Full lenght features adjustable neck strap. Medium length features non-adjustable neck strap that fits over your head. Both sizes also tie around the waist.